Before I begin, I’d like to call attention my new layout, if you haven’t noticed it already. This terrific blog design is courtesy Kathy at Moxie. They’ve designed several blogs I enjoy, and were kind enough to take my little personal blog as a client. I couldn’t be happier with the new look. I hope you like it as much as I do. Every once in a while I like to get silly. Many of my posts are rather time-intensive and involve finding rare movies, digging up stills from crazy sources and buying books that have been out of print for a few decades, so I like to take a break occasionally. That said, this is a post I’ve wanted to do for a long time, because it’s about one of my favorite people, Robert Osborne. 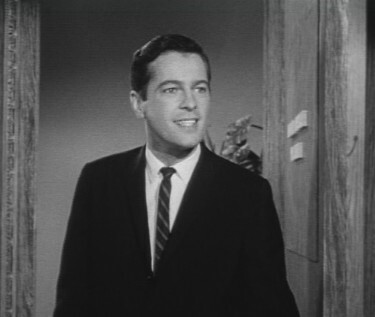 Osborne began his career in Hollywood as an actor. He was under contract with Desilu studios and was close friends with Lucille Ball until her death, despite the fact that she greatly intimidated him. Osborne has remarked that training as an actor under the studio system was preferable to what actors have nowadays, and mentioned Desilu taught their contract players how to do their own make-up, fence, and other useful actory things. In the late 50s and early 60s, Osborne appeared in a few television shows, including the pilot episode of “The Beverly Hillbillies”. The show’s title for the pilot was “The Hillbillies of Beverly Hills”; my husband remarked that they must have hired people with degrees to spice up the title after the pilot aired. 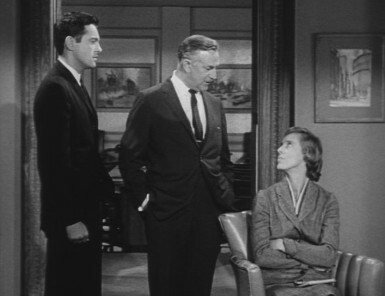 A very young (and surprisingly tall) Osborne plays Taylor, an assistant to Mr. Drysdale. Osborne is the super suave man at the beginning on this post, and in the picture above. I grabbed a couple of screencaps for you, so you can see for yourself that while he may be a very handsome man nowadays, when he was young, he was HOTT, with two Ts, as the kids these days say. Unfortunately, he wasn’t much of an actor. His few lines in “The Beverly Hillbillies” pilot sound as though he’s about to introduce a movie on TCM. Osborne claims Lucille Ball gave him the idea to combine his love of films with his acting training and journalism degree; on his TCM biography page, he said she gave him this advice “especially after she saw me act”. 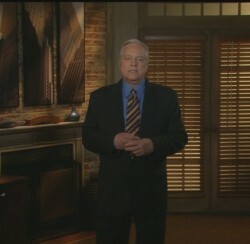 I’m happy to say that Robert Osborne does still occasionally show up in unexpected places. Most recently he was the host of an episode of the animated series “Harvey Birdman: Attorney At Law”. The episode, entitled “Turner Classic Birdman”, both pleased and confused me when it first aired in August, 2005. I’d changed the channel to Cartoon Network but when Robert Osborne came on, I momentarily thought I’d changed to TCM instead, yet I distinctly heard Osborne say the words “Harvey Birdman”. Once the vertigo cleared up, I enjoyed the show. Sure, it’s funny, mostly because it’s a run-on sentence that’s not entirely accurate. Bringing up Capra is quite a non sequitur, since he didn’t direct “Double Indemnity” (Billy Wilder did.) But Osborne has said that Capra’s autobiography, The Name Above the Title, is “the best show-business autobiography to date, bar none”, so it’s reasonable for Osborne to comment on it during an outro. Capra did direct Stanwyck during “Ladies of Leisure” (1930), and that’s when he fell in love with her. 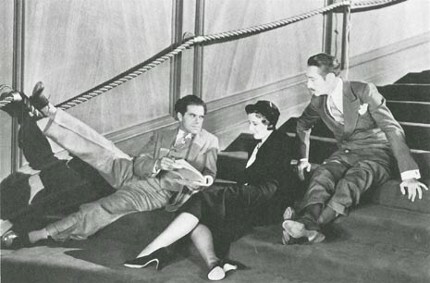 (Capra and Stanwyck are pictured here, during filming of “Forbidden” (1932), with Adolphe Menjou). However, Capra married Lucille in 1932, and Stanwyck didn’t even divorce Frank Fay until 1935. The dates don’t really match up. 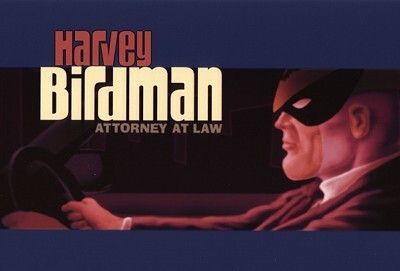 But that’s okay, it’s a little gift for us film fans who are also “Harvey Birdman: Attorney At Law” fans. All 10 of us. I concur. This is the snazziest-looking blog I’ve encountered in recent memory (and a natural temptation for a noir fan like myself). Thanks guys! I’m glad to hear you like it. Wow — Robert Osborne, an actor! You learn something new every day. Hello VP – yes, I have been to your blog! I’m on LiveJournal myself (user “smashingstars”) and I think I was linked to your journal through one of amy_jeanne’s posts. Your blog is great, and if you don’t mind I’ll add it to my blogroll. Wow! You’ve got a very fun and informative blog here. I didn’t know Robert Osbourne was an actor, or that he was on an episode of The Beverly Hillbillies (or even “Harvey Birdman”). And a tip o’ the hat to you for linking to my blog post about “Ladies of Leisure”, too. Hi Dennis! Thanks for visiting. Your Ladies of Leisure post was really quite good, I was pleased to find it. Now that I know how to do a trackback, though, I realize I should have done that for the link to your blog. surely there are more than 10 of us?